following items are returned to the default settings. complete). Select “NO” and press ENTER to cancel. “Using the Setup Display” (page 66). Selects the display language on the screen. Selects the language from the displayed list. 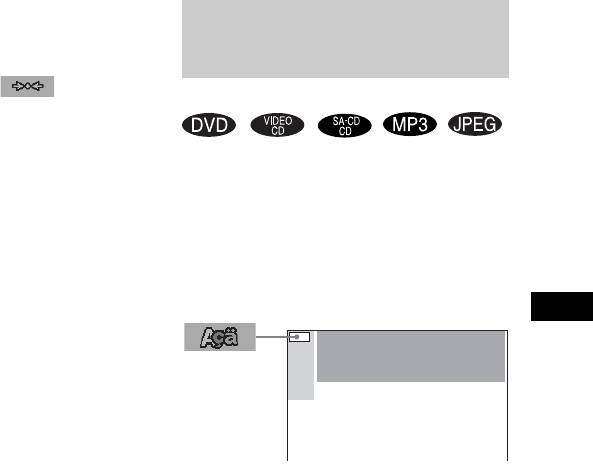 Selects the desired language for the DVD menu. Selects the language of the sound track. Selects the language of the subtitle. automatically selected (except for “OSD”).